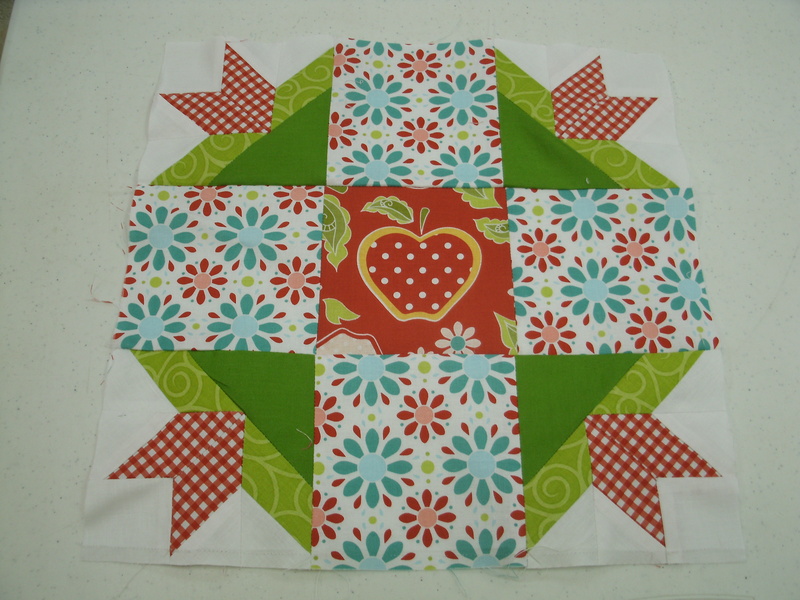 Variety Is the Spice of Quilting, Too! 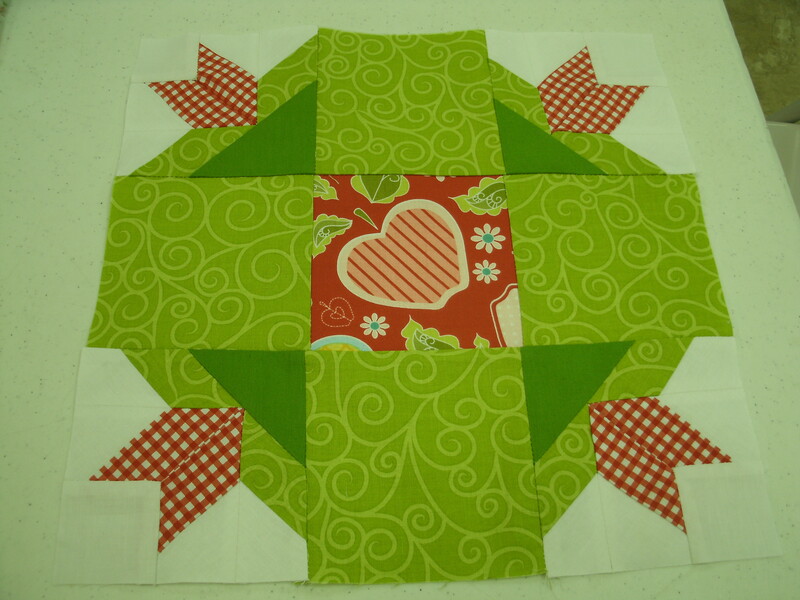 We had a little fun at our Block of the Month class today. Ann’s is closest to the original fabrics we were given. I traded the darker green in the corner units for a light turquoise in my block. 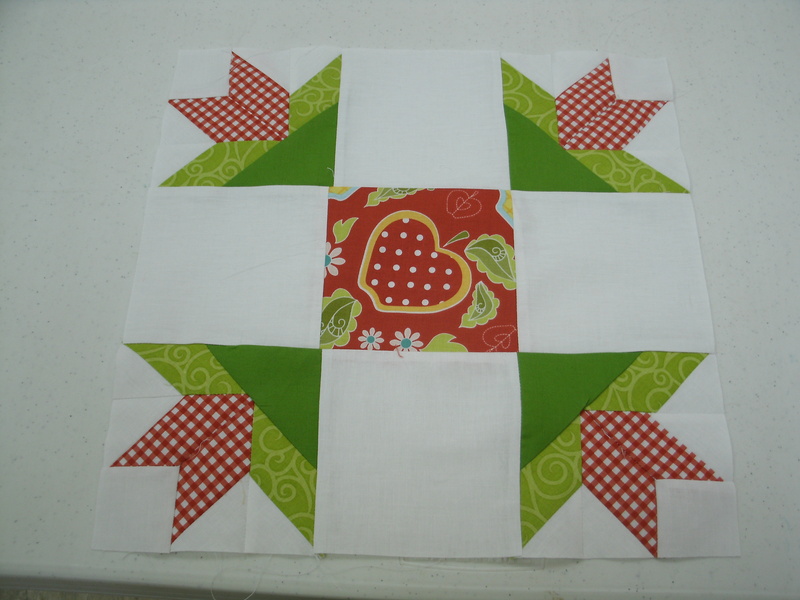 Zelma thought the large floral print stole attention from the pieced corner units, so she used white. Karla decided to go with more of the apple-green swirls for a totally different look. Now instead of “buds” drawing my eye to the corners of the block, “arrows” direct my eye to the center. 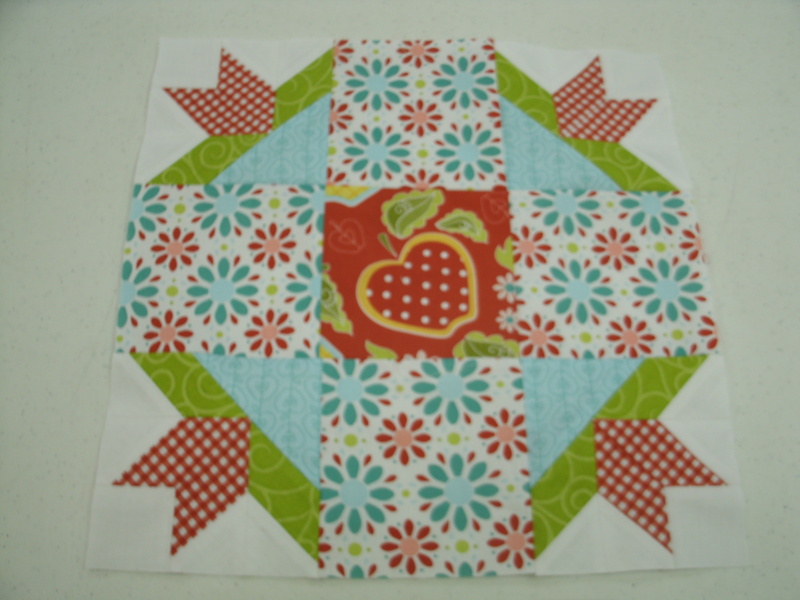 The fabrics used in these blocks are from the “Apple of My Eye” line from Riley Blake Designs.